Do Liberals Really Care about Children Being Separated from Their Parents? June 21, 2018 /in General /by F. Roger Devlin, Ph.D.
expressed the wish for increased contact with their fathers with a startling and moving intensity….The most striking response among six-to-eight-year-old children was their pervasive sadness. The impact of separation appeared so strong that the children’s usual defenses and coping strategies did not hold sufficiently under stress. Crying and sobbing were not uncommon…. More than half of these children missed their father acutely. Many felt abandoned and rejected by him and expressed their longing in ways reminiscent of grief for a dead parent…In confronting the despair and sadness of these children and their intense, almost physical, longing for the father, it was evident that inner psychological needs of great power and intensity were being expressed. This has been allowed to go on every day in America—year in, year out—and no major media outlet has yet seen fit to treat it as newsworthy. Today, however, the nation is awash in maudlin sentimentality over the unavoidable inconveniences suffered by the children of foreign lawbreakers because of their parents’ crimes. If American children victimized by family courts have less claim upon our attention and sympathy, it would appear to be because their suffering cannot be used to further the project of deconstructing the historical United States. What the liberal establishment really wants is open borders. 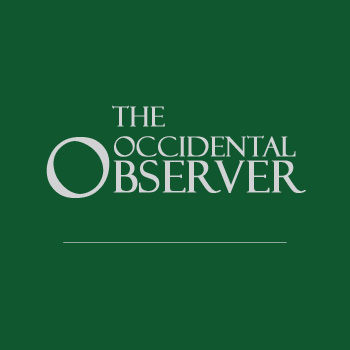 https://www.theoccidentalobserver.net/wp-content/uploads/2018/06/too-featured-image-placeholder-350x350.jpg 350 350 F. Roger Devlin, Ph.D. https://www.theoccidentalobserver.net/wp-content/uploads/2018/06/TOO-Full-Logo-660x156-1.png F. Roger Devlin, Ph.D.2018-06-21 08:22:212018-06-21 12:58:36Do Liberals Really Care about Children Being Separated from Their Parents?